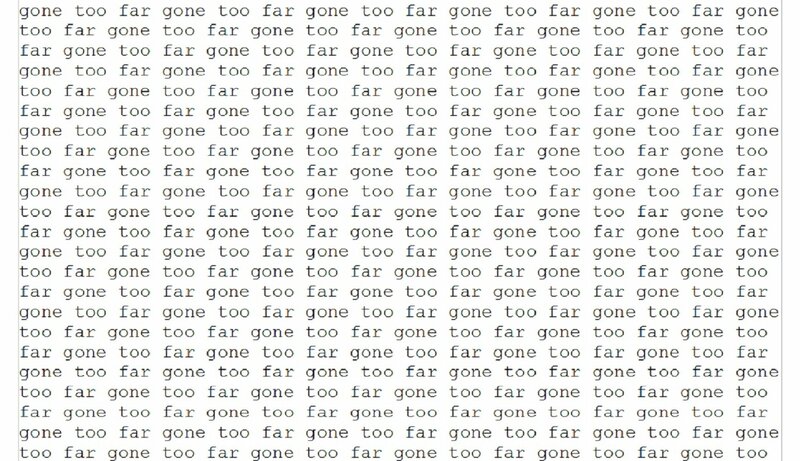 Too Far Gone is a response to apathy and anger. I didn’t like waking up and logging online only to browse the exact same headlines over and over again. I was tired of cleverly phrased clickbait, empty-calorie listicles, and clicking on an article only to find two sentences accompanying a press release copied verbatim. Too Far Gone was created in 2017 with the help of family and friends. Anime, video games, and everything in between. It’s the culture that surrounds interesting stories and fascinating people. The news, the podcasts, the videos, the streaming—the culture we build and share together—that’s what we want to deliver to you here at Too Far Gone. A website that treats your time and attention with the respect it deserves. An isle of principle amid an ocean of information and “content.” Don’t be content with content. Ask more of the curators when it comes to culture you care about. Enjoy what we’ve crafted here, we hope you get what you came for. Designed by Jonathan Harris in 2012, Colors of Autumn is the chosen typeface of Too Far Gone. An aggressive serif font, it is noted for its selection as the title set of Carly Rae Jephsen’s third studio album Emotion.